These gremlin sculptures not only look super detailed and authentic; they are also life-sized. As you can see in the image, they are ready to completely wreck your home and party down. These little terrors come from Etsy seller Lilitecreation, who offers all three versions seen here. 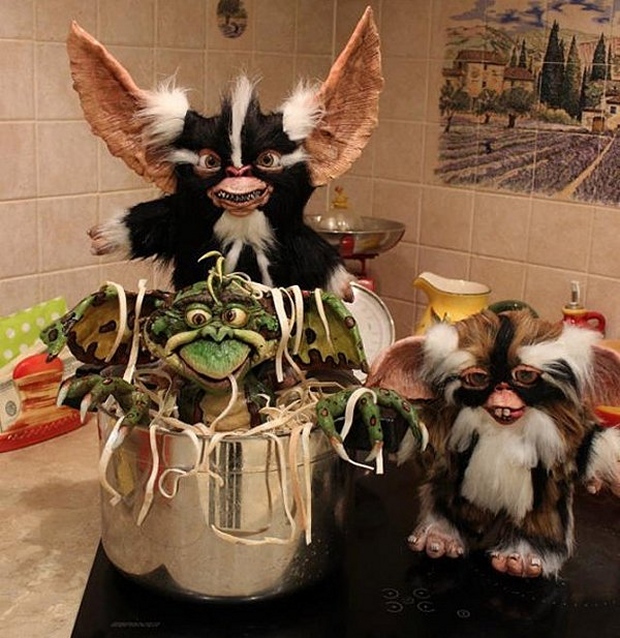 In case you aren’t steeped in Gremlins lore, their names are Mohawk, Lenny and Daffy. Priced from $310 to $470 (USD) these are pretty expensive, but if you can’t buy nice toys, what’s the point? Just realize that if you let these guys into your house, they are going to invite more. Before you know it, they will be swinging from the chandeliers, killing each other with the microwave and watching all your DVDs, while that professor-type gremlin psychoanalyzes you as you thrash, all bound and gagged and tied to your chair.